Summertime for us is all about being out and enjoying fun in the sun. Trips to the local pool and park are frequent here, the kids can spend an entire day there if we let them go. Why not, thats what the lazy days of summer are for! Of course on our outings we like to bring along our own food and beverages, theres nowhere to buy anything at the pool or park and we all know kids are always hungry or thirsty (or both!). The Coleman 30-can soft-sided cooler is perfect for those times we need to take food and drink on the go, and keep it cold! It has a big interior that fits up to 30, 355ml pop (or other beverage) cans and has exterior pockets for extra storage. The nice thing about cooler bags is they are versatile and can be used for more than just cans. The great thing about the Coleman 30 can soft-sided cooler is that its light weight and has an adjustible shoulder strap so you don't get the extra weight of the cooler on top of whatever you are carrying inside. With Coleman you know you are getting quality to last, unlike some makes. My last cooler bag was a cheaper one, it was insulated with aluminum foil looking material which ripped when a corner of a juice box got caught somehow the first (and only) time I used it. 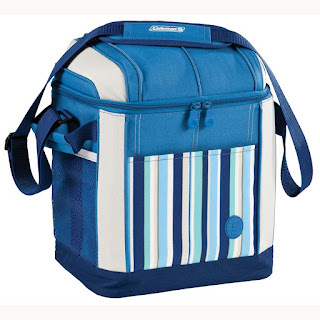 The Coleman 30 can soft-sided cooler has a phthalate-free, BPA-free PEVA liner inside. Much better quality, I know it can handle whatever we put in it this summer. 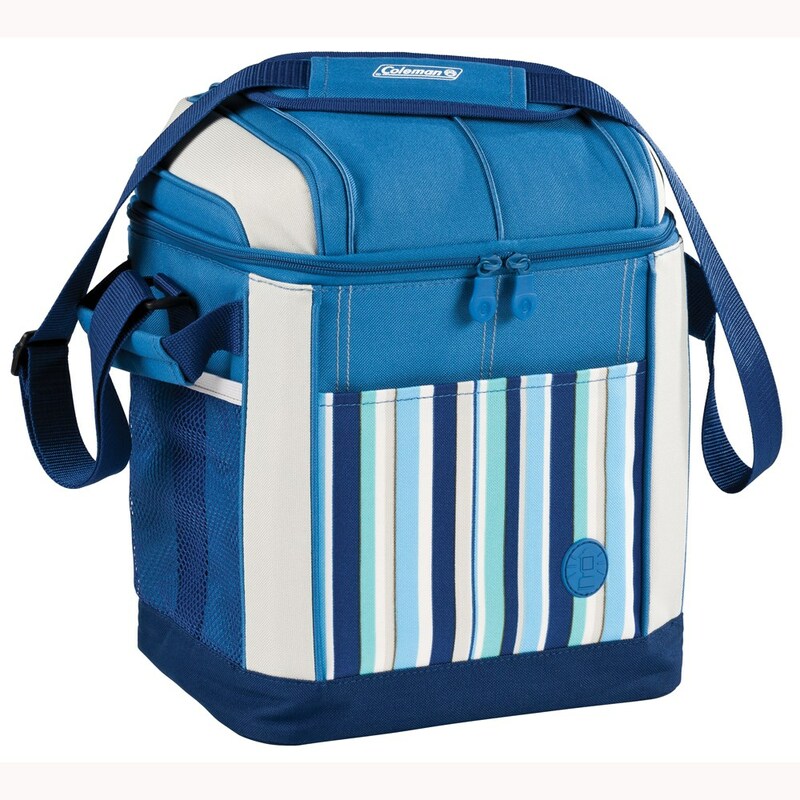 For a summer on the go, keep it cool with Coleman! You can find the Coleman 30 can soft-sided cooler and other great Coleman camping gear at www.colemancanada.ca! Show your camping love by following @ColemanCanada on Twitter and Liking Coleman Canada on Facebook! Disclosure: Posted by AME on behalf of Coleman. Product was received for review purposes. Comments and opinions on this blog are those of the author. What a great cooler - I actually often wish I had something a little smaller to bring with me instead of the giant hard plastic coolers..